Stars of CES to reveal the 10 best new hi-fi and home cinema products | What Hi-Fi? 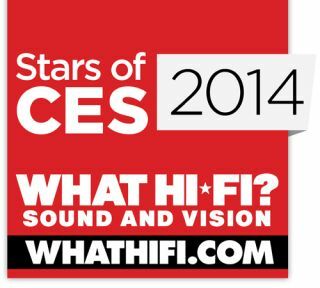 The Stars of CES 2014 Awards – chosen by by What Hi-Fi? Sound and Vision – will reveal the 10 best new products from this year's event. As CES 2014 continues to showcase the latest hi-fi and home cinema products, it's nearly time to name the winners of the Stars of CES 2014 Awards! The Stars of CES – chosen by What Hi-Fi? Sound and Vision – are the 10 most exciting products we've seen launched at this year's show in Las Vegas. We've scoured the rooms of The Venetian hotel to bring you the hottest hi-fi and home cinema launches – from TVs to high-end speakers and amplifiers. The Stars of CES 2014 are due to be announced on Wednesday evening in Las Vegas – with the ceremony starting at 5.30pm PST (1.30am, UK). Be sure to stay tuned to whathifi.com and follow us on Twitter and Facebook, where we will reveal this year's award-winners as soon as they are announced.